Blue Teal and yellow silk flowers in a ceramic container. A special gift for your loved one. 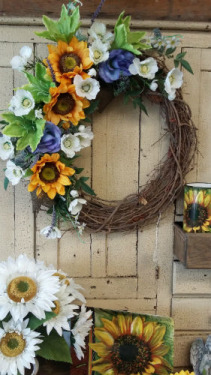 Grapevine wreath with sunflowers, lilies, and anemone. A great home décor item. A wood container of white lilies, roses, peonies, and fillers. A splash of color for that neutral spot. Blush hydrangea, white tulips, peonies, and blush roses in a design tray. 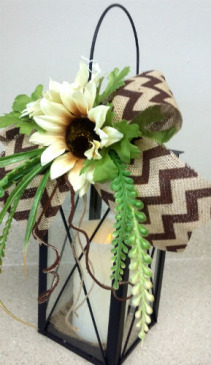 A great gift for any occasion.